Home Diet Do Polar Bears eat Caribou? 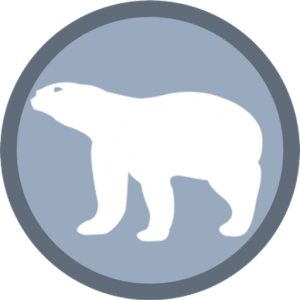 Do Polar Bears eat Caribou? The caribou (Rangifer tarandus caribou) is a large North American animal. 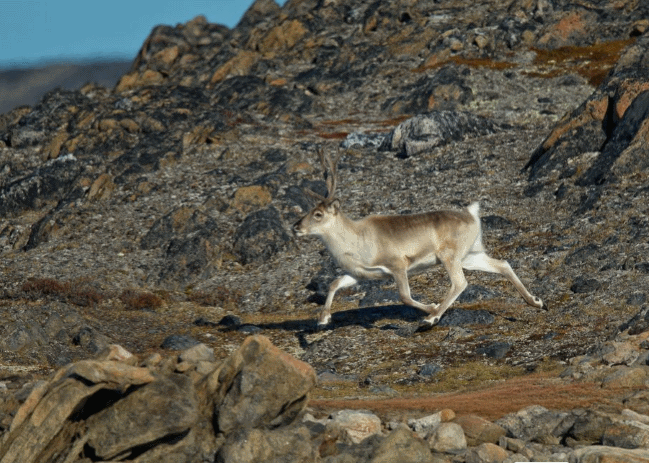 The caribou’s range extends to Alaska where it meets apex predators of the Arctic Ocean. One of the predators is a polar bear that seems to rule the Arctic land in the midsummer. Polar bears eat caribou in summer when the ice floes disappear and bears must hunt on land. Polar bears are also responsible for the decline of caribou’s population in Alaska. Caribou can move relatively freely in winter because polar bears remain close to the ice floes (away from land) to hunt seals. A 200-kilogram caribou provides protein-rich food to polar bears and they can afford to spend days in summer without eating. The scientists at the American Museum of Natural History suggest that polar bears seem to be increasingly rely on caribou in the past 40 years. This is primarily due to gradual warming of the Arctic waters. As it turns out the warmer months stay longer than before. 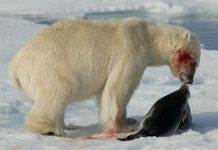 Polar bears are forced to hunt on land and thus they prey on caribou. Previously white bears didn’t seem to bother with the presence of animals such as caribou because they’ve had enough of seals in winter. However recent changes in climate forced polar bears to survive on offshore land animals. Similarly the isolated population in the western Hudson Bay is thought to survive on alternate food sources. Certain adult bears consume plants—indicating their adaptation to rapid changing circumstances. It goes back in time when polar bears shared characteristic behavior with brown bears some 600,000 years ago. The white bear might have adopted this behavior from brown bears. Many researchers (in fact, the leading authorities in the field) are extremely concerned that adaptive behaviors and alternative food sources will not sustain polar bears in their present size or number. 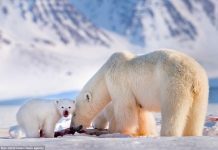 Scientists suggest that polar bears rarely preyed on snow geese and caribou in the early 20th century because ice froze early each year which makes easier for bears to hunt seals. Polar bears likely eat several terrestrial and marine species when the ice disappears. Prominent among these species are berries, grasses, marine algae, fish, small mammals, waterfowl species, bird eggs, willow ptarmigan, and of course caribou. 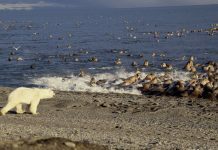 Polar bears were not known to prey on land until recently when it started eating eggs from waterfowl’s nesting colonies. The study also proves that bears are now beginning to rely on caribou which is a primary prey in ice-free months. Previously white bears didn’t seem to bother with the presence of animals such as caribou because they’ve had enough of seals in winter. However recent changes in climate forced polar bears to survive on offshore land animals. As of now polar bears not only run after the caribou but they can even climb the cliffs if they must in order pursue the prey. 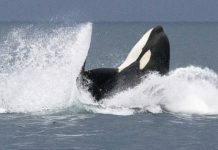 This is quite unusual in Ursus maritimus for they had never put so much effort in chasing down alternate prey (in the past). The reason behind this behavioral shift is not known. It may be partly due to the scarcity of primary meal or simply changing food source.